as a motivator in daily activities and existing therapeutic/habilitation processes of a child with developmental difficulties. to the families with children with developmental difficulties, in the way that one of the parents/tutors goes through the dog handler training and manages daily interaction between the child and the service dog. to institutions, schools, associations etc., where a trained specialist works with individuals or groups of children with developmental difficulties, involving a service dog in their work. 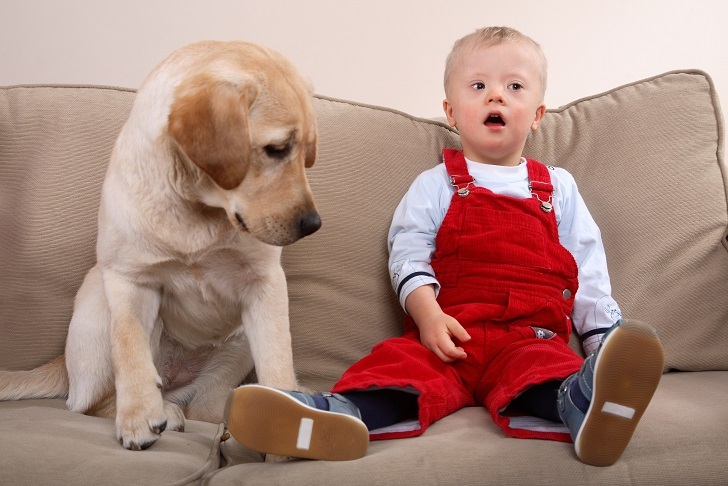 Involving a servce dog in daily life and the existing habilitation/therapy affects different aspects of the development of an individual. 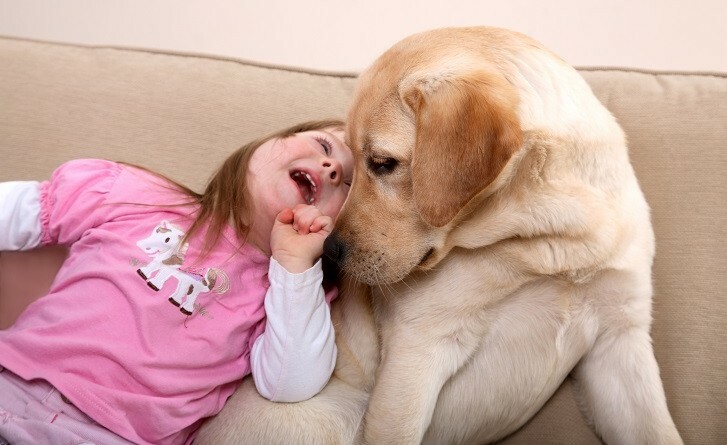 It takes 8 months to train a service dog and the training involves obedience, while the specific demands are defined according to the needs of each individual child – user (e.g. hyperactivity, difficulties in different motor, speech or intellectual functions, deafness, blindness, etc.). . The training programme includes initial assessment of candidates for a suitable dog, which fits best to each individual user by its features of temperament and work. 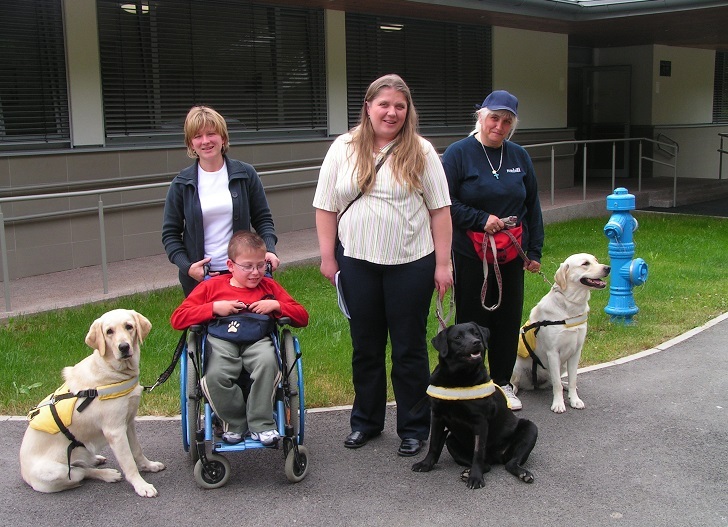 The training of parents in handling therapy dogs is done individually, and it takes 4 weeks (1 week in the Silver Centre and 15 rehabilitation days at the place of residence of the client, when the child -user is involved). The average working life of a therapy dog with a client is 7 to 8 years. The exact time for retirement of each dog depends on the assessment of the unit by a team of experts.